Pima Medical Institute is a private school with 17 locations across the country. They have collaborated with the University of Montana Western since the spring of 2015 to provide the only veterinary technician program in the state of Montana. Students in these programs will graduate from Pima Medical Institute, but the facilities are on the Montana Western campus, and the students are free to make use of Montana Western services such as housing, meal plans, use of the gymnasium, and counseling. The entire program lasts for 18 months. For the first nine months of instruction, students train as veterinary assistants. After successful completion of this training, students begin their education as technicians. 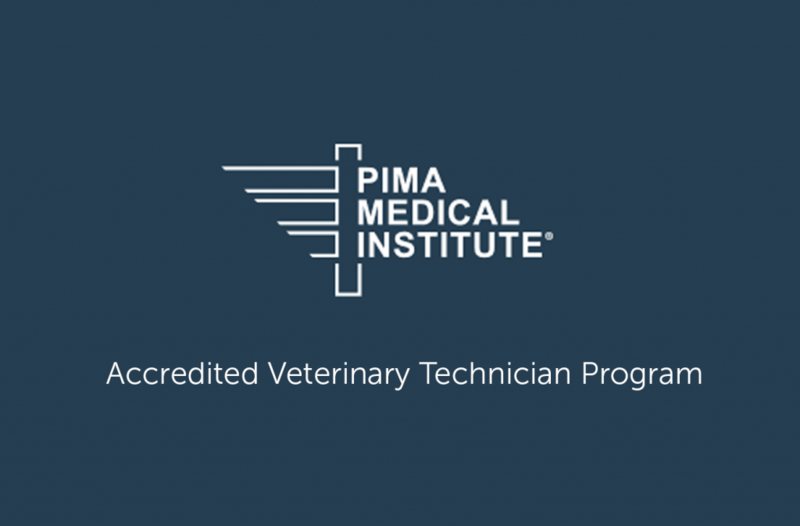 The American Veterinary Medical Association just confirmed the accreditation of Pima Medical’s Dillon, Mont. veterinary technician program in late April. The accreditation is given only after a rigorous review of a school’s facilities, curriculum, and faculty, among other factors. Due to the recent accreditation, graduates from the program will now be able to take the Veterinary Technician National Examination and earn a license for their profession. In a state known for its abundance of livestock, it’s surprising that there is only one place to learn the skills of veterinary nursing. Students graduating from this program could potentially fill a large gap in the Montana job market. Read more about Pima in the Montana Standard. For program information visit pmi.edu.